Will the Circle Be Unbroken: Volume Two (also Circle II) is a 1989 album by the Nitty Gritty Dirt Band. The album follows the same concept as the band's 1972 album, Will the Circle Be Unbroken , which featured guest performances from many notable country music stars. 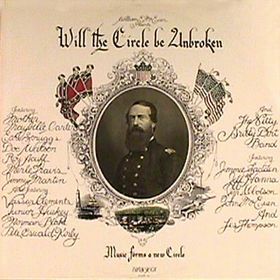 Will the Circle be Unbroken is the seventh album by the Nitty Gritty Dirt Band, with collaboration from many famous bluegrass and country-western players, including Roy Acuff, "Mother" Maybelle Carter, Doc Watson, Earl Scruggs, Randy Scruggs, Merle Travis, Pete "Oswald" Kirby, Norman Blake, Jimmy Martin, and others. 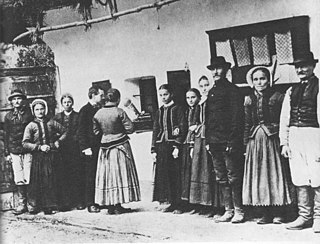 It also introduced fiddler Vassar Clements to a wider audience. Circle II features largely acoustic, bluegrass music instrumentation with a line-up of contemporary country music artists that includes Johnny Cash, Rosanne Cash, Emmylou Harris, Michael Martin Murphey and Ricky Skaggs. Returnees from the first Circle are bluegrass musician Jimmy Martin, banjoist Earl Scruggs, fiddler Vassar Clements and singer Roy Acuff. 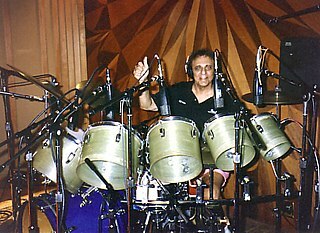 Other artists represent the rock, folk and pop genres, including Levon Helm from The Band, John Denver, John Prine, John Hiatt and Bruce Hornsby. Among the tracks is the Bob Dylan composition, "You Ain't Goin' Nowhere", sung as a duet by former members of The Byrds, Roger McGuinn and Chris Hillman, their first reunion in many years. "You Ain't Goin' Nowhere" is a song written by Bob Dylan in 1967 in Woodstock, New York, during the self-imposed exile from public appearances that followed his July 29, 1966 motorcycle accident. A recording of Dylan performing the song in September 1971 was released on the Bob Dylan's Greatest Hits Vol. II album in November of that year, marking the first official release of the song by its author. 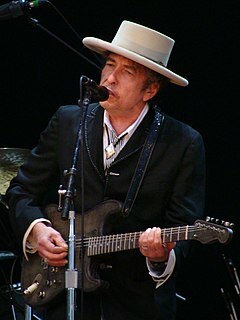 An earlier 1967 recording of the song, performed by Dylan and the Band, was issued in 1975 on the album The Basement Tapes. The Byrds were an American rock band, formed in Los Angeles, California in 1964. 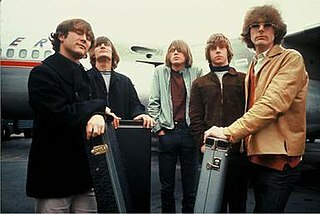 The band underwent multiple lineup changes throughout its existence, with frontman Roger McGuinn remaining the sole consistent member, until the group disbanded in 1973. Although they only managed to attain the huge commercial success of contemporaries like the Beatles, the Beach Boys, and the Rolling Stones for a short period in the mid-60s, the Byrds are today considered by critics to be nearly as influential as those bands. Their signature blend of clear harmony singing and McGuinn's jangly twelve-string Rickenbacker guitar was immediately absorbed into the vocabulary of popular music and has continued to be influential up to the present day. Mark O'Connor is an American violinist whose music combines bluegrass, country, jazz and classical music. A resonator guitar or resophonic guitar is an acoustic guitar that produces sound by conducting string vibrations through the bridge to one or more spun metal cones (resonators), instead of to the guitar's sounding board (top). Resonator guitars were originally designed to be louder than regular acoustic guitars, which were overwhelmed by horns and percussion instruments in dance orchestras. They became prized for their distinctive tone, however, and found life with bluegrass music and the blues well after electric amplification solved the problem of inadequate volume. Like the first Circle, the album features snippets of studio chatter. In the lead-in to John Denver's song, "And So It Goes", someone asks, "Is this practice?" Denver replies: "They're all practice." In an intro to the song "Riding Alone", Emmylou Harris summed up her thoughts about relaxed atmosphere of the recording sessions, saying: "Years ago I had the experience of sitting around in a living room with a bunch of people and singing and playing, and it was like a spiritual experience, it was wonderful. And I decided then that was what I was going to do with my life was play music, do music. In the making of records, I think over the years we've all gotten a little too technical, a little too hung up on getting things perfect. We've lost the living room. The living room has gone out of the music, but today I feel like we got it back." Will the Circle Be Unbroken: Volume Two was certified gold in the United States and Canada. The album peaked at No. 5 on the Billboard Top Country Album chart and at 95 on the Billboard 200. Singles from the album included John Denver's "And So It Goes", "Turn of the Century", "When It's Gone" and "One Step Over the Line". Henry John Deutschendorf Jr., known professionally as John Denver, was an American singer-songwriter, record producer, actor, activist, and humanitarian, whose greatest commercial success was as a solo singer. After traveling and living in numerous locations while growing up in his military family, Denver began his music career with folk music groups during the late 1960s. Starting in the 1970s, he was one of the most popular acoustic artists of the decade and one of its best-selling artists. By 1974, he was one of America's best-selling performers, and AllMusic has described Denver as "among the most beloved entertainers of his era". It won Grammy Awards in 1990 for Best Bluegrass Recording (for "The Valley Road", with Bruce Hornsby) and Best Country Performance by a Duo or Group with Vocal. It also won Album of the Year at the Country Music Association Awards. A documentary film, The Making of Will the Circle Be Unbroken II, was released by Cabin Fever Entertainment. Circle II was followed up with a 2002 album, Will the Circle Be Unbroken, Volume III , which coincided with the 30th anniversary re-release of Will the Circle Be Unbroken . Vassar Clements – Fiddle on "Sittin' on Top of the World"
Béla Fleck – Banjo on "Don't You Hear Jerusalem Moan", "Little Mountain Church House" and "Sittin' on Top of the World"
Bernie Leadon – Banjo on "The Valley Road" and "Blues Berry Hill"
John McEuen – Banjo on "Lost River"
Earl Scruggs – Banjo on "Life's Railway to Heaven"
Buck White – Piano on "Little Mountain Church House"
Uncle Charlie & His Dog Teddy is the 1970 album from The Nitty Gritty Dirt Band that contains the hit song "Mr. Bojangles". The album reached #66 on US charts. Three singles charted: "Mr. Bojangles" reached #9, "House On Pooh Corner" reached #53, and "Some Of Shelly's Blues" reached #64. 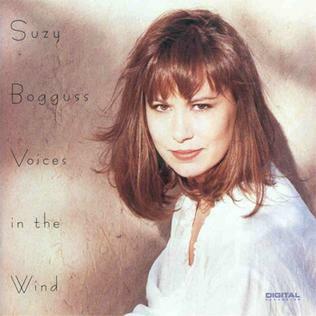 Voices in the Wind is an album by American country music singer Suzy Bogguss. It was released on October 6, 1992 via Liberty Records. It earned her a second straight gold record and her highest-charting single ever, the No. 2 cover of John Hiatt's "Drive South." Hold On is an album by the Nitty Gritty Dirt Band. The album includes the third and final number one hit single by the band, "Fishin' in the Dark". John McEuen, is an American folk musician and founding member of the Nitty Gritty Dirt Band. Dirt, Silver and Gold is a 1976 compilation album by The Nitty Gritty Dirt Band that contains some of the band's greatest material to that point. It also includes 12 songs not previously available. It was originally released as a three LP album, and was released in 2003 as a two compact disc set by BGO Records. Plain Dirt Fashion is the fifteenth album by the Nitty Gritty Dirt Band, released in 1984 by the record label Warner Bros. Records. This album went to #8 on the US Country charts. The three singles from this album all charted in the top 3. "Long Hard Road " went to 1, "I Love Only You" went to 3, and "High Horse" went to 2. The album is noteworthy for the remake of both Meat Loaf's 1977 single Two Out of Three Ain't Bad and Bruce Springsteen's 1981 single Cadillac Ranch. Speed of Life is the 2009 album from the Nitty Gritty Dirt Band. It reached number 59 on the U.S. Country charts. Welcome to Woody Creek is the 2004 album from The Nitty Gritty Dirt Band. Will the Circle Be Unbroken, Volume III is the 2002 album from The Nitty Gritty Dirt Band. This album reached 18 on the US Country chart. Earlier albums in the series include Will the Circle Be Unbroken and Will the Circle Be Unbroken: Volume II. Acoustic is the 1994 album by Nitty Gritty Dirt Band. Live Two Five is a live album recorded during three shows at the Red Deer Fine Arts Center in Alberta, Canada, in 1991. The concert recording marks the twenty-fifth anniversary of The Nitty Gritty Dirt Band despite the absence of founding member John McEuen. The tracks on this collection are live versions of songs that charted. The Rest of the Dream is the 1990 album from The Nitty Gritty Dirt Band. It peaked at #53 on the US Country charts. Two singles from the album hit the Billboard Country Top 100 - a cover of Bruce Springsteen's "From Small Things " peaked at #65 and "You Made Life Good Again" rose to #60. Workin' Band is the 1988 album from The Nitty Gritty Dirt Band. The Nitty Gritty Dirt Band is notable for having many charting albums and singles. This album went to 33 on the US Country charts. The three singles from it were top 10. "Workin' Man " went to 4, "I've Been Lookin'" went to 2, and "Down That Road Tonight" went to 6. Partners, Brothers and Friends is the sixteenth album from The Nitty Gritty Dirt Band. The album reached #9 on the US Country charts. The three singles from this album were top 10 on the US Country charts. "Modern Day Romance" went to #1, "Home Again in My Heart" went to 3, and "Partners, Brothers and Friends" went to 6. All the Good Times is the sixth album from The Nitty Gritty Dirt Band, released in January 1972. Let's Go is the fourteenth album from The Nitty Gritty Dirt Band. This album marks the return of Nitty Gritty to the band name and Jim Ibbotson to the band. This album reached 26 on the US Country charts. Two singles from this album also charted. "Shot Full of Love" reached 19 on the US Country charts. "Dance Little Jean" reached 9 on the US Country charts. The Christmas Album is the 1997 album from The Nitty Gritty Dirt Band. The Nitty Gritty Dirt Band is notable for having many charting albums and singles. This album reached 93 on the US Country charts. Not Fade Away is the 1992 album from The Nitty Gritty Dirt Band. The Nitty Gritty Dirt Band is notable for having many charting albums and singles. Two singles from this album charted. 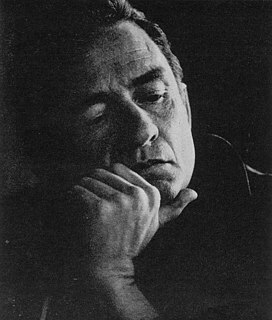 "I Fought the Law" reached 66 on the US Country charts. "One Good Love" reached 74 on the US Country charts. ↑ The Nitty Gritty Dirt Band: Will the Circle Be Unbroken: Volume II booklet and liner notes.